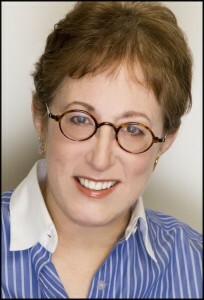 Laura B. Weiss is an author, editor and journalist who writes and edits about food, lifestyle and travel. She has contributed to NPR Food, the Food Network, Saveur and many other food and lifestyle publications. She is also the author of Ice Cream: A Global History (Reaktion Books/University of Chicago Press 2011). Laura’s work has appeared in numerous national publications, including The New York Times, FoodNetwork.com, Saveur, Travel + Leisure, The New York Daily News, Interior Design, Tastebook.com, AOL Travel, Fineliving.com, Edible Brooklyn, The Oxford Companion to American Food and Drink, Library Journal and Nation’s Restaurant News. Laura was also an editor of the Zagat Long Island Restaurant Guide 2009-2011. She was also the freelance editor for James Beard Award Nominated culinary travel book, Return to the Rivers, by Vikas Khanna (Lake Isle Press, 2013). In addition, Laura taught journalism at the Arthur L. Carter Journalism Institute at NYU. Laura served as a reporter for CQ Weekly, covering Congress and national politics, as a writer for TIME’s school edition, and as a writer and editor for School Library Journal and Library Journal. As a director at AOL, she managed news and entertainment content from major brands, such as Teen People, PBS and Cartoon Network. 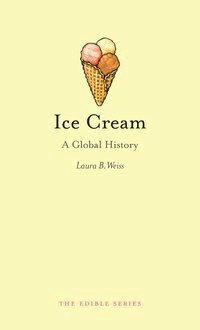 Ice Cream: A Global History will take you on a whirlwind tour through the fascinating history of ice cream–from ancient China to modern-day Tokyo. You’ll hear the story of how this delicious indulgence became a global sensation. You’ll learn about Good Humor-loving World War II-era German diplomats and fanciful sundaes with names like “Over the Top” and “George Washington.” Ice Cream is populated with an international cast of characters, including Chinese emperors, English kings, former slaves, women inventors, shrewd entrepreneurs, and gourmand First Ladies. Today American brands dominate the world ice cream market, but ice cream-loving nations, like Italy and Japan, flourish as they create unique variations of the world’s favorite treat.